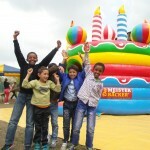 There were many exited faces, when the People from „Das kunterbunte Kinderzelt.eV.“ started to built up the inflatable playgrounds on 14th April. 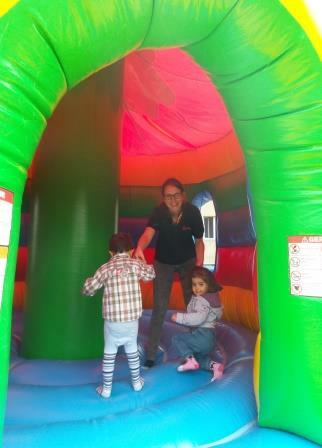 About an hour later two big colorful bouncy castles were set on the ground and the children cheered. Parents watched their kids playing while enjoying some Popcorn and sitting together in the sunny afternoon for a chat. Balloon figures and funny helmets were very popular among kids and teens and even among the grown ups. 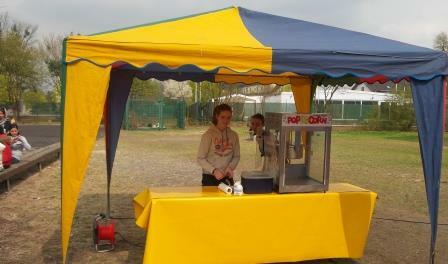 kunterbunte Kinderzelt e.V.“ are very happy about the kids Festival. 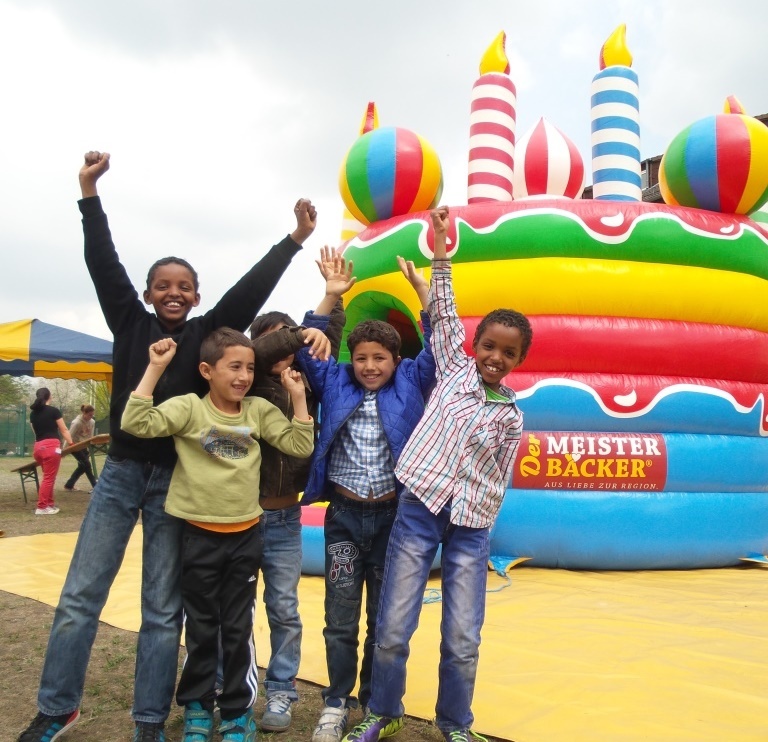 The Festival was made possible by the Kathinka Platzhoff foundation, which is very engaged in supporting refugees in Hanau. 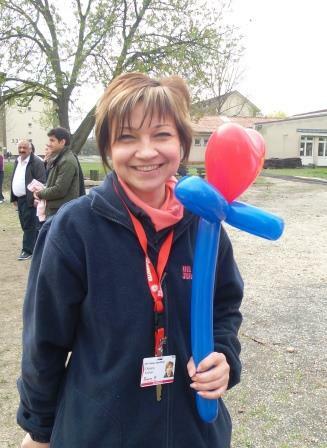 Also the Team of „das kunterbunte Kinderzelt e.V.“ enjoyed the afternoon together with the People in EAE – Hanau.